The case of Alain Philippon, a Quebec man who was charged for refusing to give up his smartphone password at the Halifax airport, illustrates the differences in search-and-seizure powers of border agents and police, but may also signal a need to update laws governing officials at the border. The case of Alain Philippon, a Quebec man who was charged for refusing to give up his smartphone password at the Halifax airport, illustrates the differences in search-and-seizure powers of border agents and police, but may also signal a need to update such laws governing officials at the border. "If a police officer stops me on the street and says 'Empty out your bag' for no good reason [and] they don't allege I've committed an offence, that's patently illegal," said Benjamin Berger, an associate professor at Osgoode Hall Law School of York University. "And yet I habitually do it when I take an airplane. Why? Because no one has forced me to go to the airport." Philippon, 38, of Ste-Anne-des-Plaines, Que., was charged under the Customs Act for hindering or preventing border officers from performing their role when he refused to divulge his cellphone password to Canada Border Services Agency officers during a customs search Monday night at Halifax Stanfield International Airport. 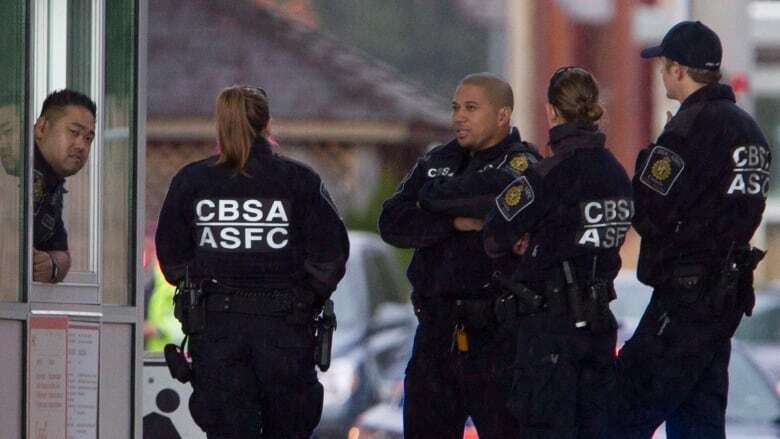 In a statement to CBC News, a spokeswoman for the border agency said that the Customs Act authorizes officers to examine "all goods and conveyances including electronic devices, such as cellphones and laptops." "The principal difference between borders … and our day-to-day interactions with police is the voluntary engagement with a border," Berger said. "Because we have at some level chosen to attempt to cross a border, it's in a sense, us who has engaged our liberties, not the police having inserted themselves into our lives." Under Section 8 of the Charter of Rights and Freedoms, everyone has "the right to be secure against unreasonable search or seizure." In order to conduct a search, police need to obtain a warrant from a judge. Police need a specific warrant to search a personal computer, even if they have a warrant to search a person's house. If an individual has been arrested, police can conduct a warrantless search. In the case of an arrest, police do have extensive rights to search a person for evidence. But the search must be limited to a specific investigation, meaning police don't have licence to conduct a search unrelated to the alleged crime. When it comes to items like cellphones, the Supreme Court recently ruled that police can search the devices of people they arrest. 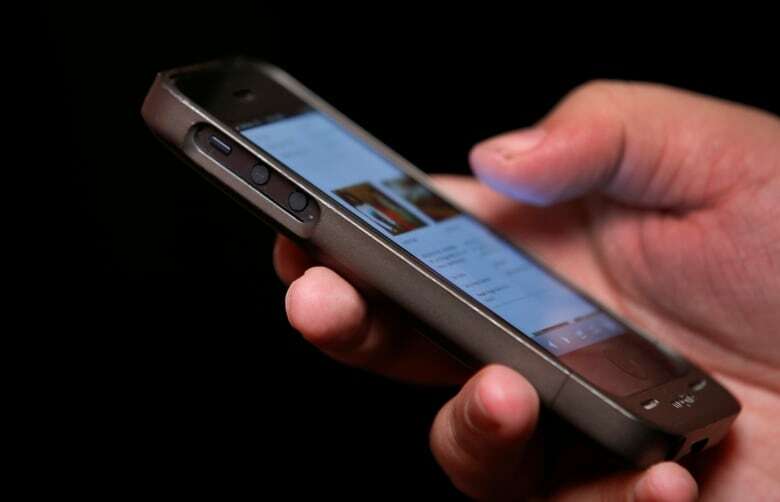 But the court also recognized that those devices are different from other items, meaning the searches must be conducted under very narrow circumstances, and the search must relate directly to the arrest. Although the court has ruled that an officer can hold on to that person's phone and try to crack the security code, an individual has no obligation to give police a cellphone password, under the charter right to silence. But border agents have the right to look though an individual's computer or cellphone, or demand a password, as that power has yet to be constitutionally tested. "When it comes to searching smartphones, though, it’s really kind of a different thing, because this isn’t just a bag that is carrying some socks or some samples for your business. Smartphones are really a window to a great deal of personal information about you." Currently, in Canada, the law doesn’t treat cellphones and smartphones at the border differently from other kinds of goods, Paterson said. "And we think that’s problematic." Paterson said the border agency treats cellphones or computers the same way they treat papers or documents someone is carrying across the border, which means they are subject to examination. "This is kind of an old-fashioned law that we have, that was designed before there was even such a thing as a smartphone. And the law, we think, needs updating," Paterson said. "There should be some strict standards set up around the kind of searches of smartphones and computers that CBSA officials are allowed to do at the border when they don’t have individualized suspicion about someone." "Having the ability to just go on a searching spree through your personal records, through your financial records, through your emails, is problematic if they don’t have any reason to suspect that you're transportingcontraband, that you're somehow otherwise involved in illegal activity."